It’s no secret that Facebook is one of the most lucrative platforms for advertisers. As of 2017, there are over 4 million active Facebook advertisers worldwide. When you consider that Facebook has 1.28 billion monthly users, you’re sure to find a large audience to market to – whatever niche you’re in. Unlike SEO and content marketing (which take time to generate momentum), Facebook ads can potentially yield great results within days of starting a campaign. Once you find an ad that delivers the right offer to the right audience, and your cost per acquisition still leaves you with a healthy profit, you can simply scale your campaign by increasing your ad spend. This can result in excellent profits, at least until the audience becomes exhausted. Naturally, there is a learning curve before you’re able to achieve great results with your campaigns. Typically, marketers go through long periods of split testing and refining their advertising skills before any money is made. This can be expensive if you’re not careful. If you’re running multiple campaigns, checking in every day and making adjustments is an arduous process. After all, if you’re interested in advertising, you probably want to achieve more freedom in your life, not less! While there have been some fear-inducing news stories about the way artificial intelligence may affect human jobs in the future, AI can greatly assist in the automation of your Facebook ad campaigns. There are a number of AI automation tools which will help you save time and money when running Facebook ads. When properly deployed, automation will allow you to scale your campaigns without needing to micromanage everything – helping you achieve the freedom you desire. Fully integrated with Slack, Reveal Bot uses artificial intelligence to give you live updates on the progress of your campaigns. Within Slack, you and your team can receive reports with comprehensive details about your campaigns. For instance, you can view reach, impressions, clicks and determine whether these metrics have improved or decreased (as a percentage) over a designated time period. When an ad isn’t performing well, you can pause it without having to leave Slack. Oftentimes, we’re not at our computer when campaigns start to head south, so the sooner you can cut off a decaying ad, the more money you will save. It’s no secret that data visualization is a tremendous tool for recognizing trends. Reveal Bot has a useful graph feature which allows you to compare two metrics from your campaign, displayed visually. Above you can see the correlation between ad spend and click through rate to determine whether or not you’re scaling your campaign effectively. 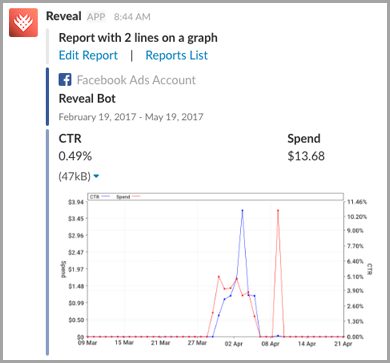 Reveal Bot is free to try, but if you want unlimited reports, alerts, and automated rules, you’ll have to purchase the $49 per month package for small businesses. Zalster is an application that seeks to replace human imprecision with artificial intelligence. Using sophisticated algorithms, Zalster will optimize your bids, budgets, targeting and ad creatives in order to give you the best results. The application features a dashboard where you can visualize the status of your campaigns. It also provides live updates via Slack. However, split testing might be the most useful feature offered by Zalster. One of the trickiest parts of a campaign is deciding which conversion event to optimize for. The natural inclination for most marketers is to optimize for purchases since that’s the end goal, but often times you can receive better results by optimizing for “add to cart” or “add payment information” because Facebook has more data to work with. With Zalster, you can easily run split tests for manual bidding as well as for conversion events. By split testing different ad sets, you can determine which variant provides you with the lowest cost per acquisition before you start scaling. Zalster uses an innovative pricing model. The cost is 5% of your total Facebook ad spend every month, with a minimum fee of $495. If you’re spending tens of thousands of dollars on Facebook ads every month, Zalster can be a wise investment. For smaller campaigns, Zalster probably isn’t for you. ReFUEL4 deals with the common problem of ad fatigue and takes Facebook ad automation to another level. No campaigns run excellently forever. 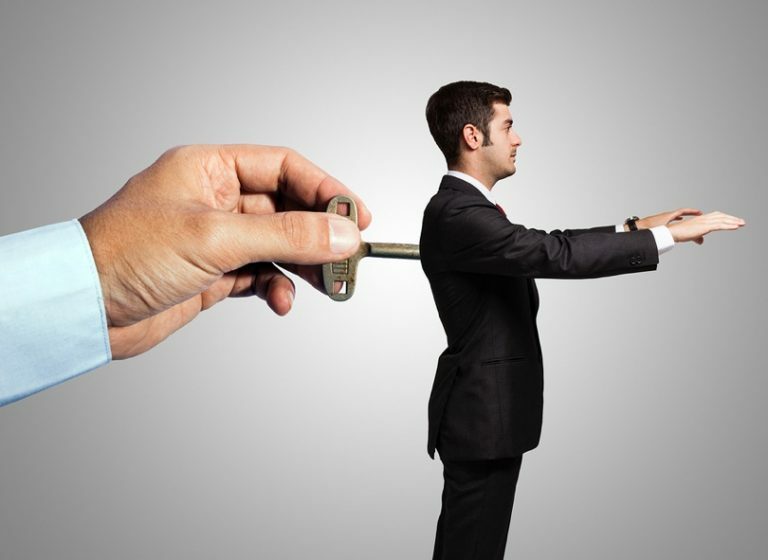 Regardless of the size of your audience, eventually your campaign will start to experience attrition. This is because, within an audience, there are only so many people who are going to convert. As the same ad is shown to the same audience numerous times, there comes a point when the best prospects have already converted and everyone else is now bored of seeing the ad – this is when your CPA starts to rise and it’s wise to kill off the ad. In these situations, a fresh ad with a new creative can give your campaign a new lease of life. 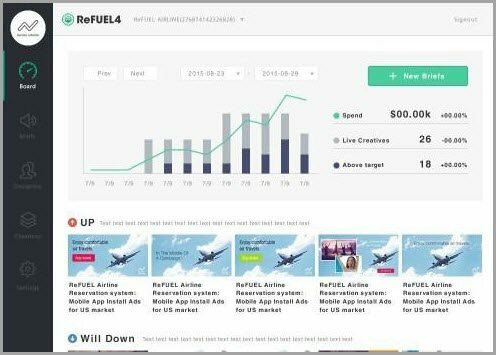 ReFUEL4 uses AI to predict when your campaigns will start to dip and will automatically replace your ads. The application utilizes a wide network of freelancers that specialize in ad creatives, so when your ad starts to falter, it will be automatically replaced with a fresh ad without you having to do anything. For such a comprehensive tool, it’s not surprising that prices start at $1,000 per month. For large scale campaigns, this can be a worthy investment. This application is ideal for marketers who want to scale campaigns from less than $25,000 to over $400,000. AI Target utilizes artificial intelligence so marketers can analyze, optimize and scale their Facebook and Instagram campaigns. Using automation, AI Target allows marketers to manage bids and budgets, even for complex campaigns involving numerous creatives, locations and audiences. The application features sophisticated data integration and allows you to measure your campaigns based on key metrics such as customer LTV. AI Target has a friendly support team that will respond to marketing and technical questions within hours. Although there is a free version available for smaller campaigns, this only entails 1 automation. For campaigns with an ad spend of $2,000-4,000 per month, prices start at $200. For complex international campaigns where ROI measurement is problematic, the team at AI Target can create a bespoke solution for your needs. This application uses artificial intelligence to optimize ad campaigns over a range of social media platforms, including Facebook. Simply add Trapica to your campaign’s name and you’re away and running. The application will immediately start identifying what’s working and what isn’t, and will then make targeting and bidding adjustments based on real time learning. 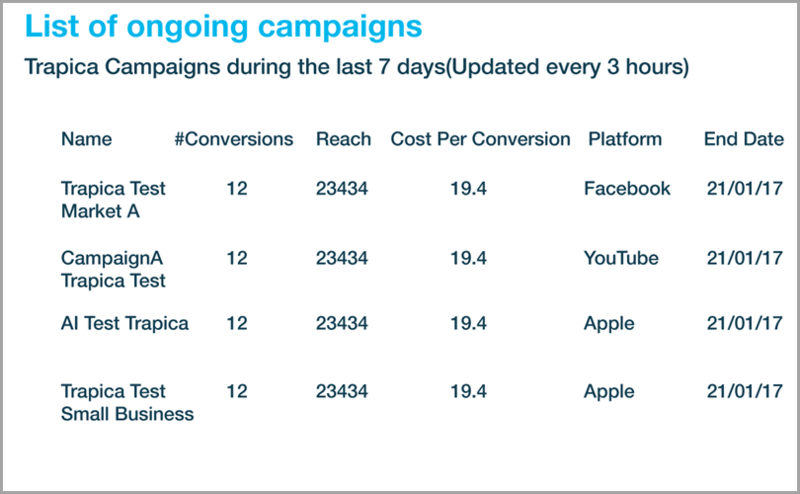 Targeting is one of the most challenging parts of running a Facebook ad campaign. Even if you have the best offer in the world, if you show it to an unreceptive audience – your results will suffer. Trapica uses conversions to learn about the behaviors, intentions, and interests of your audiences – and adjusts your campaign accordingly. The team behind this application recommends running a Trapica campaign next to a standard campaign, for split testing purposes. As smart as we think we are as marketers, artificial intelligence can analyze data, decipher and predict trends in ways that humans are simply not capable of. With an in-built reporting feature, you can quickly compare the reach and cost per conversions for Trapica campaigns to see if the tool is doing its job. If your ad spend is less than $2,500 per month, you can get started with Trapica’s basic package for $189. Unlike some of the other tools listed here, Trapica is an excellent choice for both novice and advanced marketers who want to leverage the power of artificial intelligence. Are there any other AI-based tools for Facebook campaign automation that you know of? Please let me know in the comments below. Guest Author: Aaron Agius is an experienced search, content and social marketer. He has worked with some of the world’s largest and most recognized brands, including Salesforce, Coca-Cola, Target and others, to build their online presence. See more from Aaron at Louder Online, his blog, Facebook, Twitter, Google+and LinkedIn.